For the second year in a row, I’m participating in Creations for Charity, an annual fundraising event that provides new LEGO building sets to underprivileged children during the holidays. 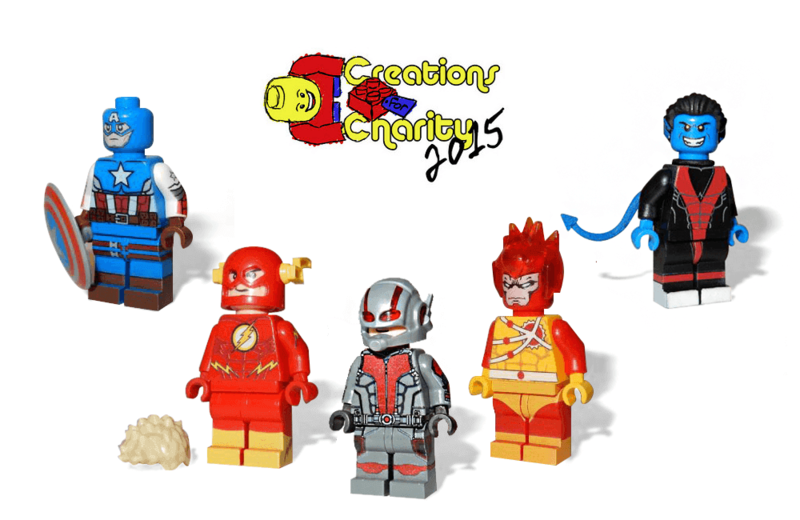 Rather than simply requesting donations of the toy, money is raised through the sale of custom LEGO creations made by enthusiasts from all over the world. Now in its seventh year, the event was founded by Nannan Zhang in 2009 as a “unique and meaningful way to give to charity.” Last year, Creations for Charity raised over $10,000, a new record, and donated more than more than double that $ amount in LEGO building sets to children in six cities across three countries. This year, I took the opportunity to purchase five LEGO Minifigures from the event, all popular Marvel and DC Superheroes. The event runs through November 30th with all donated items available for sale at the following online store. ROM The Space Knight made its debut in 1979 and was one of Parker Brothers' first forays into a toy product that was not a board game.